Ivo Watts-Russell had founded the record label 4AD in 1980, and it quickly established itself as one of the key labels in the British post-punk movement. One of the label's earliest signings was Modern English. In 1983, Watts-Russell suggested that the band re-record two of their earliest songs, 'Sixteen days' and 'Gathering dust', as a medley. At the time, the band was closing their sets with this medley, and Watts-Russell felt it was strong enough to warrant a re-recording. When the band rebuffed the idea, Watts-Russell decided to assemble a group of musicians to record the medley: Elizabeth Fraser and Robin Guthrie of Cocteau Twins; Gordon Sharp of Cindytalk; and a few members of Modern English. An EP, Sixteen Days/Gathering Dust, resulted from these sessions. 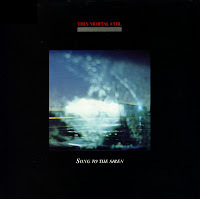 Recorded as a b-side for the EP was a cover of Tim Buckley's 'Song to the siren', performed by Fraser and Guthrie alone. Pleased with the result, Watts-Russell decided to make this the A-side of the 7" single version of the EP, and the song quickly became a hit, peaking at number 66 in the UK and number 29 in the Netherlnads. The band subsequently recorded three albums, until the name was retired in 1991.